Rugged, Dependable, Simplicity; three hallmarks that make Ontario Knife Company an award winning producer of some of the world’s highest quality and most functional hunting, bushcraft, and wilderness survival tools. 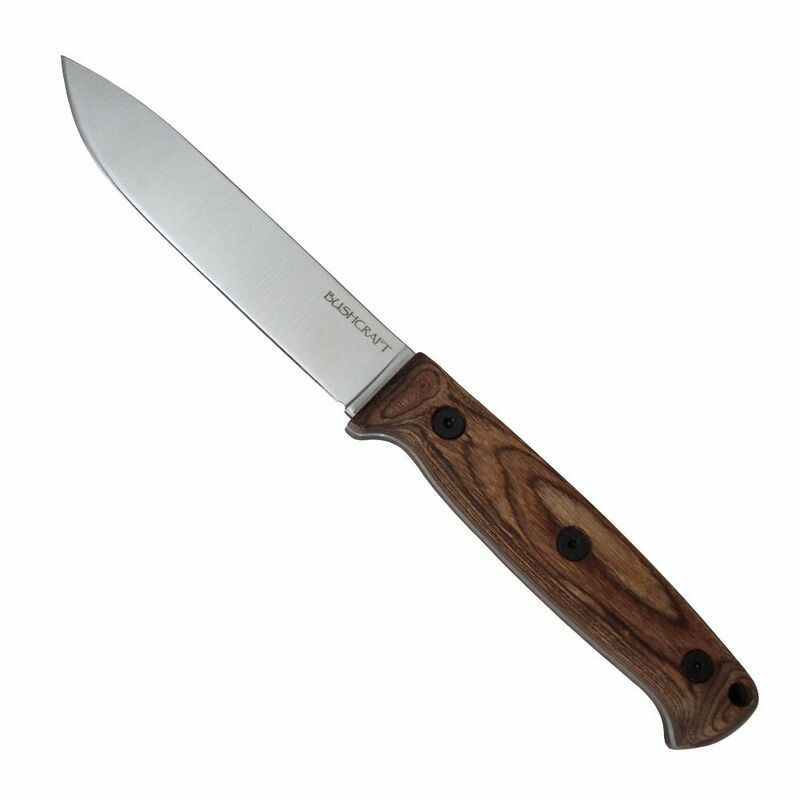 Bushcrafting knives are renowned in the industry for their comfort in hand during long periods of use. They minimize what are called "hot spots" where pain develops in the hand while cutting, splitting or whittling. Ontario has created this slim, sleek fixed blade ideally for Bushcrafting but it works just as well as a field, camp, or hunting knife as the 5160 carbon steel blade will take a very fine edge. This knife comes with a DeSantis nylon belt sheath, fire starter, bottle opener, paracord bracelet and is proudly made in the USA.